(Recto, mount) upper right, printed in black ink: "PLATE CXIII." Lower left, printed in black ink: "DRESDEN. / 207. VASE WITH FLOWERS, IN FULL RELIEF. / Lady C. Schreiber. 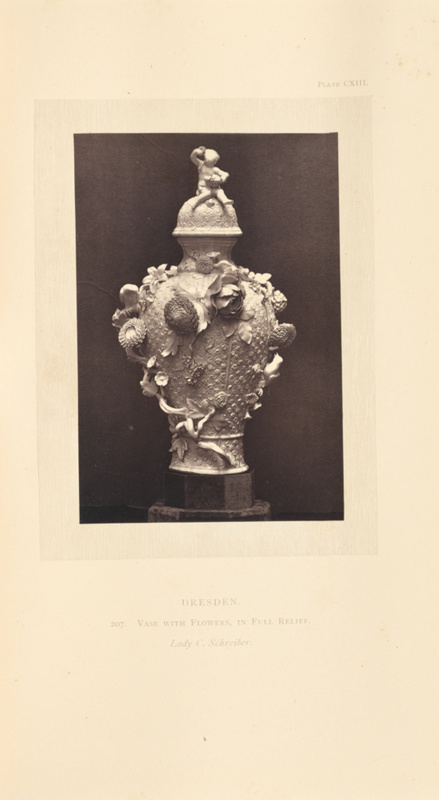 [italicized]"
A vase decorated with birds and flowers in full relief. The lid features a handle in the shape of a child sitting with a basket.